Browse a variety of southwestern Montana vacation rentals in Bozeman, Big Sky, Livingston-Paradise Valley and near Yellowstone National Park. Not familiar with the area, let us guide you to Montana; no matter what town you decide to call home on your visit you are sure to have a great time in your rental and exploring the nearby area! 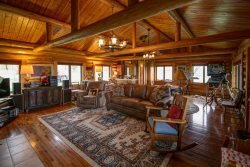 When you stay with Stay Montana your vacation rentals accommodation options are seemingly endless, from secluded mountain cabins to luxurious homes on the river to ski in ski out properties in Big Sky Town Center we have it all. With a variety of amenities and high end features available these rentals will make your stay in Montana ultra comfortable and unforgettable. All conveniently located to area attractions and activities you are sure to feel secluded in the mountains while still being so close to town! So, what are you waiting for, start your search today! Enter your Arrival and Departure date and Check Availability to find your perfect vacation rental in southwestern Colorado. Contact our office for additional assitance. Stay Montana offers Montana vacation rentals located throughout Bozeman, Big Sky, Livingston-Paradise Valley, and West Yellowstone. Our accommodations offer an experience all their own, making it easy for guests to relax, unwind, and make memories. With a variety of luxury homes, modern studios, and pet-friendly rentals, you are sure to find the perfect fit for your next getaway! We love everything that Montana has to offer for adventure and exploration, which is why we have properties that make it easy for our guests to get outdoors and truly take advantage of the surrounding areas. Even our Downtown Bozeman vacation rentals offer easy access to hiking trails and amazing views of the nearby mountain ranges. Whether you spend the day fishing, mountain biking, or shopping, we want you to feel at home when they walk through the doors of your rental. Soak in the hot tub, sit around the fire, feast on a catered meal, or sit on the balcony and enjoy the expansive views. However you relax, Stay Montana has you covered; check out our concierge services too! Our dedicated staff are at your service to ensure a simple booking process and a delightful stay. Check out our list of Montana vacation rentals below and please feel free to contact us with any questions. Big Sky is one of Montanas foremost travel destinations, located midway between Bozeman and West Yellowstone and home to two world-class resorts, Big Sky Resort, and Lone Mountain Ranch. No matter when you come to visit, there are so many things to do, see and explore as well as a ton of great Big Sky vacation rentals to call home while here! During the winter months Big Sky is a mecca for a wide range of snow sports and activities - alpine, back country, and cross-country skiing; snowboarding, snowshoe trekking; and performing arts events. The warmer, summer months provide access to whitewater rafting, fly-fishing, and hiking. Just outside of Big Sky Town Center, the Ousel Falls trail is a favorite hike among locals and travelers alike. It is a great hike for families with kids or dogs. Pick a sunny meadow for a picnic and enjoy the mountain wildflowers along the way. Take a day trip through the canyon to Bozeman, driving north along the Gallatin River. There are many pull-outs along the way where you can stop and enjoy the special natural features and spectacular views. Whether you are coming for the winter slopes or year-round fly-fishing, Big Sky gives travelers a great taste of Montana. Start planning your Big Sky vacation today and be check out our available Big Sky vacation rentals to find the perfect place for your stay in this beautiful area. There are so many reasons why you should visit Big Sky, come find out why today! If you are looking for majestic mountains, a picturesque river valley, and an old-time western town come to Ennis and truly experience Montana at its best. For every cowboy, angler, or outdoor adventure seeker, this is your destination... the heart of the Madison Valley... and Stay Montana has the perfect vacation rental waiting. Bozeman is a premier travel destination for any season. In the warmer, summer months get out on the trails for a day hike or backpacking trip in the Gallatin or Bridger mountains, enjoy some of the Wests best fly-fishing on the Madison River, or raft the Gallatin River. In the snowy months, hit the slopes at Bridger Bowl to ski the cold smoke, or take the short drive to Big Sky. There are so many thing to do, see and explore in and around Bozeman! Any time of year, relax in historic downtown Bozeman, taking in the local culture: grab dinner at Open Range, coffee at Wild Joes, or simply walk Main Street, wandering the local bookstores and shops. For a good burger and great, local beer, stop in Bacchus Pub beneath the historic Hotel Baxter. Also, for a night out, the Ellen Theatre in downtown Bozeman is the perfect spot to catch the latest independent film or documentary. As if there werent enough reasons to visit, just ninety miles from Yellowstone National Park, Bozeman is southwest Montanas prime gateway to hiking, fishing, climbing, and skiing. Come any time of year for a balanced blend of the outdoors and local food and drinks. Start planning your Bozeman vacation today and be check out our available Bozeman vacation rentals to find the perfect place for your stay. Paradise Valley is one of Montanas most stunning valleys, backed up against the Absaroka Mountains. A gorgeous destination that draws travelers from across the country, Paradise Valley is a major river valley of the Yellowstone River, stretching from Gardiner to the fly-fishing town of Livingston. From fishing in the Yellowstone River to venturing into the backcountry for a hike, Livingston has something for everyone during any season. Youll also find wonderful art galleries, museums, restaurants, and other great places filled with Western hospitality and culture. Follow the valley south to Gardinerthe north entrance and gateway town to Yellowstone National Park. Grab a burger and beer at the Two Bit Saloon or the Iron Horse Bar and Grill, perched above the Yellowstone River. For winter gear rentals, such as snowshoes or cross-country skis, visit Parks Fly Shop. In the summer months, spend a day exploring the park, then return to Gardiner for dinner and a cozy cabin along the river. As if there werent enough reasons to visit already, the area has several hot springs, such as Chico Hot Springs and La Duke Hot Springs. Making Paradise Valley one of Montanas premier travel destinations. Check out our available Livingston and Paradise Valley vacation rentals to find a beautiful place to stay during your visit. There are so many reasons to visit Yellowstone! One of the top-rated snowmobiling and trout fishing destinations in Montana, West Yellowstone is the gateway town at the west entrance to Yellowstone National Park. In the winter months (late November to mid-April), enjoy the 400-mile groomed trail system for cross-country skiing, or take a snowmobile tour into the back country. West Yellowstone is also a hub for winter snow-coach tours in the park. The summer months provide access to a variety of activities, such as fishing, kayaking, canoeing, horseback riding, bird watching, and hiking. Head into Yellowstone National Park for the day for a chance at viewing wildlife, or simply take a walk along the Madison River. All of the parks roads are open during the summer months (mid-April to early November). While in West Yellowstone, be sure to visit the Grizzly and Wolf Discovery Center and the Yellowstone Historic Center Museum. Grab a bite to eat at Beartooth Barbecue or the Wild West Pizzeria. Come any time of year for a taste of the outdoors and local culture. There is so much to do, see, explore and learn in the Nations First National Park! So what are you waiting for, start planning your vacation to Yellowstone NP today. Montana is well known for its outdoor recreation opportunities - especially for fly fishing. With our riverfront vacation rentals, fly fishing Montana has never been easier. We have a number of properties that offer convenient access to some of the best fly fishing spots - perfect for your next getaway. Take advantage of our prime fishing location and all of the local resources. We even make it easy to celebrate the catch of the day - fire up the grill! Even if you arent an avid fisher, our Riverfront Properties are sure to impress for the great views, beautifully designed interiors, and premium amenities. Let the day wind down around the fire pit, watch the sunset from the deck, or cozy up in front of the flat screen TV for a movie. Find yourself lulled to sleep by the sound of the river outside your window, and enjoy a peaceful morning along the shore. There are plenty of nearby hiking trails and lots of other outdoor adventures right at your fingertips. We know that accommodations are a huge part of your vacation experience, and we take pride in our thoughtfully designed homes where guests can truly relax. We aim to make the booking process simple and stress-free and our rentals well equipped, so that you can feel at home and focus on what is important - making memories. We have great vacation rentals available for the whole family, we mean everyone - even the dog! We know that pets are an important part of the family, and finding a pet-sitter can be an expensive hassle when planning a vacation. That is why we offer a number of downtown Bozeman, West Yellowstone and Big Sky pet friendly lodging options. With each location offering unique amenities for our guests and their furry friends! Our pet-friendly vacation homes give guests a chance to easily explore the surrounding areas, with so much to do, you wont be board! Restaurants, specialty shops, and access to hiking trails and outdoor adventure are all at your fingertips! For a stay in the city, we offer cozy studios, with natural light pouring in large windows overlooking the Main street and the Bridger Mountains. Sip coffee on the balcony or take advantage of the fitness center! Modern, clean designs meet rustic Montana outdoors for an experience you wont forget! Our online booking makes for a simple and stress-free reservation process, and our experienced staff are available to answer any of your questions. Be sure to check in and ensure Fido can come before you book your next getaway with Stay Montana today! Contact our office with any pet friendly questions! Seeking an epic winter ski vacation? Start your search with one of our beautiful and convenient ski in ski out Big Sky vacation rentals. Visit the heart of Montana ski country with one of our popular vacation condos or private homes, each with direct access to the ski slopes for easy snowy adventures. Not here to ski? There are so many things to do beyond playing in the snow and all year round! Discover live music festivals, local events and other popular activities and attractions to keep you busy throughout the summer, spring and fall all conveniently located to your rental property. Need more reasons to come visit? We know our ski in ski out rentals will blow you away with custom amenities and features like private hot tubs and more! All rental properties are unique to the next but all designed to make your trip all the more enjoyable! If you have questions about proximity to other destination attractions, or just are interested to know what your ski in ski out Big Sky rental includes, contact our office! Book your next stay at one of our luxury rental properties in Montana. With beautifully crafted rental homes in Big Sky, Livingston, and Bozeman, our guests enjoy upscale lodging with breathtaking views. We offer features and amenities that go above and beyond - like catering services, washer and dryer, fully equipped kitchens, and outdoor space heaters. With plenty of room for groups, our south western Montana and Big Sky luxury rental homes are designed and equipped to entertain and impress. Relax by the fireplace, in the hot tub, or on the back deck overlooking your private pond. With thoughtful decor and spacious floor plans, we aim to create an atmosphere that invites calm, even for large groups. Each of our properties are in a prime location for both access to the outdoors and to nearby towns. Whether you are looking for local entertainment like dining and shopping or a remote fishing trip, our vacation rentals not only make it easy to access a variety of activities but also provide an added luxurious experience for a memorable getaway. Booking online is easy, and our staff are available to ensure a stress-free experience, giving you the chance to truly enjoy all Montana has to offer. Browse and book your Bozeman, Livingston or Big Sky luxury rental today!